According to healthychildren.org, did you know that every year over half of the 2.4 million people who either swallow or come into contact with poisons are under the age of six years of age? And it’s no wonder. Look in your kitchen or bathroom cupboards. Really look. What do you see? 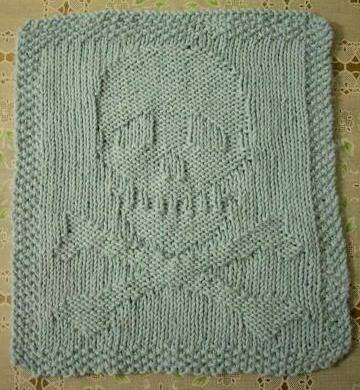 If you’re like most Americans, you see a whole lot of skulls and crossbones. Our homes, believe it or not, have a higher air contamination and poorer quality than some smoggy cities. And it’s all due to what we use inside of it. And the worst part is that because our homes are not open to the elements, that “stuff” just never goes away. My partner and I have been slowly but surely shedding the toxic materials we come into contact with in daily our lives. We started with clean food and organic gardening. Next, we started to really pay attention to our environment. And this past weekend, we decided to “clean house.” Literally. 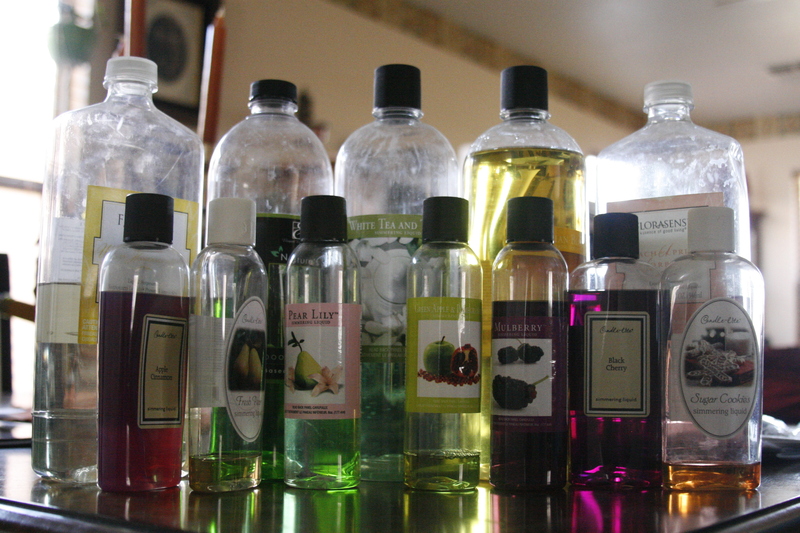 But there were still so many bottles of leftover cleaning chemicals that I just didn’t know what to do with since I’ve made the change. They stayed in cupboards and on shelves, collecting dust. When we picked up a book on natural cleaning recipes recently and discovered that we had all of the ingredients we needed to go cold turkey natural, we finally made a pact to thin out our supplies. When we began rooting through under our sinks and in the cupboards, we were both pretty amazed. 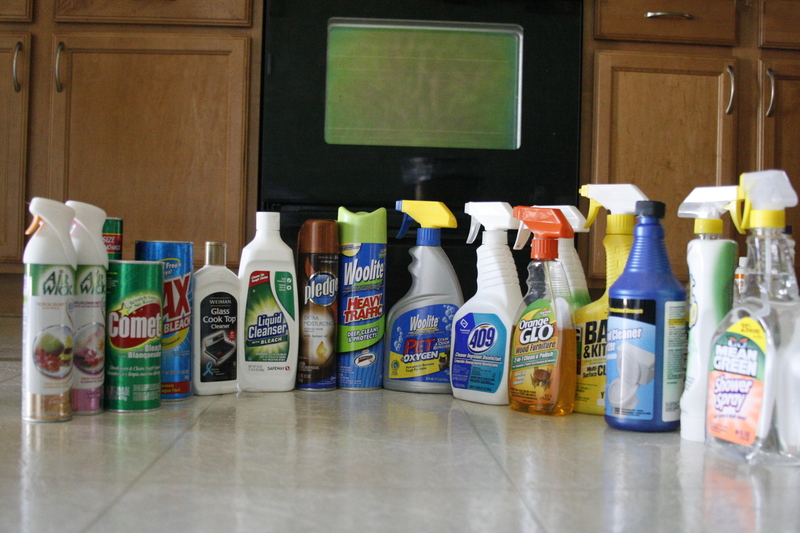 “Look at all of these different cleaners!” my partner exclaimed. There was a separate product for each application: Floor washing, toilet cleaning, tub scrubbing, … you name it, we had a bottle for it. And then we looked at our new cleaning armory – we had five items. That’s it. Five universal cleaners. How on earth did we get to this point, we asked ourselves, that we felt that we needed such a ridiculous amount of toxic products in our homes? Because which cleaning stash would you rather have your child accidentally get a mouthful of? One could kill your child – the other, “at worst, would give them a tummy ache for a day,” my partner joked. 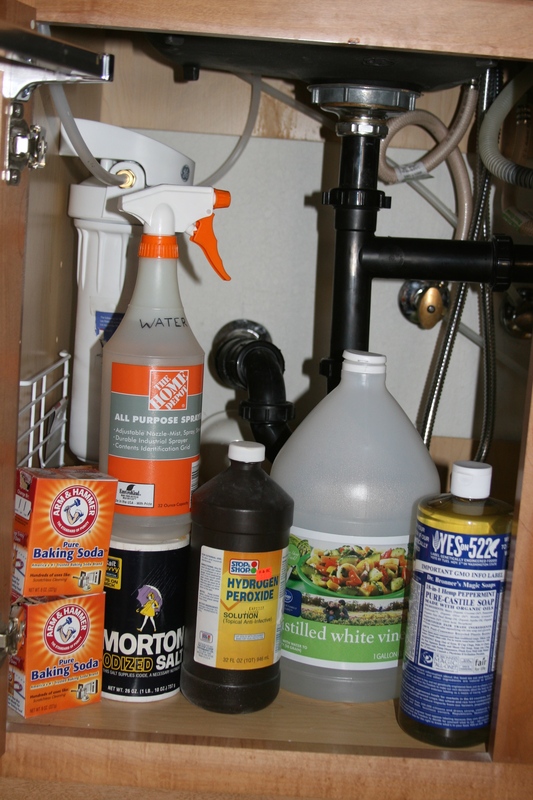 But what contaminates your home may not always be what you expect, either. For example up until a year ago, I had a slight obsession with scented candles and oils. They were everywhere. I always loved going to certain people’s houses, because the moment you walked in you were enveloped with gorgeous smells that said “You’ve come home.” I’ve tried and tried, but I didn’t burn enough candles to keep that amazing scent of apple pie or vanilla ice cream circulating my home. But then I began to read what really was in those things – just terrible chemicals that smelled good, but were ultimately toxic. Anything that has an artificial scent like Glade air fresheners or plug-ins, or scented candles just contaminates your home with nasty chemical compounds that have been linked to asthma, allergies, and even cancer. I also have began filling my home with plants. Not only does it add life and color to your home, but they do a lot of air filtering for you! Still feel like your home is your nice, clean castle that’s safe for you and your family? Previous postBacteria & Food: Is 5-second rule mankind’s undoing?